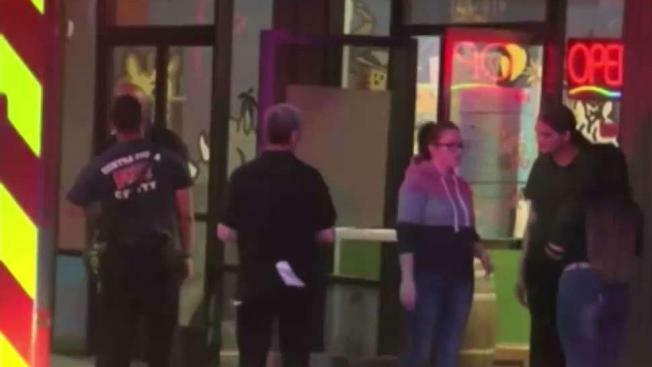 Dozens, including children, were treated after someone sprayed pepper spray at indoor amusement center The Jungle in Concord Saturday evening. Sergio Quintana reports. Dozens, including children, were treated after being exposed to pepper spray at indoor amusement center The Jungle in Concord Saturday evening. The Concord Police Department responded to the scene at 1975 Diamond Blvd around 7 p.m. about a fight between five to 10 young males and females, police said. When they arrived, the fight was no longer taking place but they realized a few people had been sprayed by pepper spray. It is unclear who in the fight sprayed it. About 30 customers came out of the building, some vomiting and having difficulty breathing, police said. Everyone affected was treated at the scene and no one was transported to the hospital. The Jungle remained closed the rest of the day as officials investigate the matter.